Vegetables are inspiring me in the kitchen these days. I’m not alone — April Bloomfield, Hugh Acheson, the editors at Lucky Peach, the entire Paleo and Autoimmune Protocol Diet communities . . . everybody seems to be in love with veggies right now. 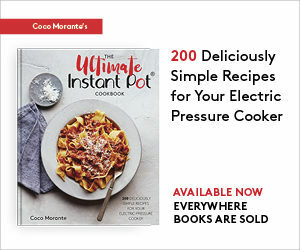 We’re cooking them in ways that show off their best attributes, in recipes that feel neither ascetic nor sneaky (nobody’s hiding spinach in brownies anymore, thank goodness). We’re putting bacon in our brussels sprouts and lardo in our hasselback potatoes. We’re exploiting the natural umami in ingredients like miso, soy sauce, anchovies and fish sauce, giving vegetables the savory qualities that make meat-based dishes so crave-worthy. I have always loved a plate of green stuff. Honestly, I don’t really have to add much extra flavor to good, fresh vegetables to enjoy them. Yesterday, I ate a summer squash sliced into thick, long strands on my mandoline slicer and microwaved for a couple minutes, just ’til steamed through. With nothing on top. When vegetables are at their height of freshness, I’m happy to eat them any which way. The mei quin choy (a type of baby bok choy we get in our CSA box) got a fancier treatment than that summer squash, but all told, it only took about ten minutes to make. It was lovingly seared in butter, then steam-fried with a splash of soy sauce and sprinkled with toasted sesame seeds. That’s really all it took to make the beautiful bunch of greens shine. If you decide to prepare them, just make sure to wash your greens well — they need a good soak and swish in cold water to really release all of the dirt from between their tightly-packed leaves. This recipe was inspired by Hugh Acheson’s hakurei turnip recipe from The Broad Fork. The method is very similar, and I’ve really just made a couple changes (ok, besides the fact that mei quin choy is not turnips), using water instead of chicken stock and omitting the pinch of salt. Many of Hugh’s recipes skew a bit cheffy, and they often call for a few tablespoons of stock or broth. I don’t always have it on hand, and it’s not really necessary in most dishes, though it does make the flavor a little more complex. If you’ve got homemade stock, by all means, add a splash here. As for the extra pinch of salt, that’s really up to you. The soy sauce and butter work together to create plenty of salty, savory flavor, and it’s nice to keep the ingredient list super simple sometimes. I imagine this flavor combination would be great with broccoli or broccolini, sugar snap peas, green beans, zucchini . . . basically any fresh, semi-sturdy green vegetable would work well. 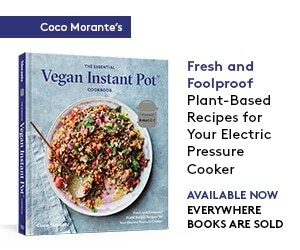 I’ve got a feeling I’ll be making lots of pan-seared, ten-minute vegetable dishes this summer! A simple preparation allows the flavor of this tender, delicious green vegetable to shine thorough. Halve the heads of baby bok choy lengthwise, then cover them with cold water in a large bowl or dishpan. Swish the greens around vigorously to dislodge any dirt from between the leaves -- it will sink to the bottom of the bowl. Dry the cleaned bok choy in a salad spinner or on a kitchen towel. In a small skillet, toast the sesame seeds over medium-low heat, until they have turned a light golden brown. Set aside. In a large (12-inch) skillet, heat the butter over medium-high heat. When the butter stops foaming (but has not begun to brown), add the heads of bok choy, cut side down, and do not move them for about three minutes. Drizzle the soy sauce and water over all of the bok choy, getting it into the nooks and crannies of the leaves. 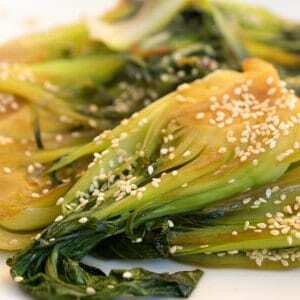 Use a pair of tongs to turn the bok choi over so it's facing cut side down, then cover the skillet for three minutes. 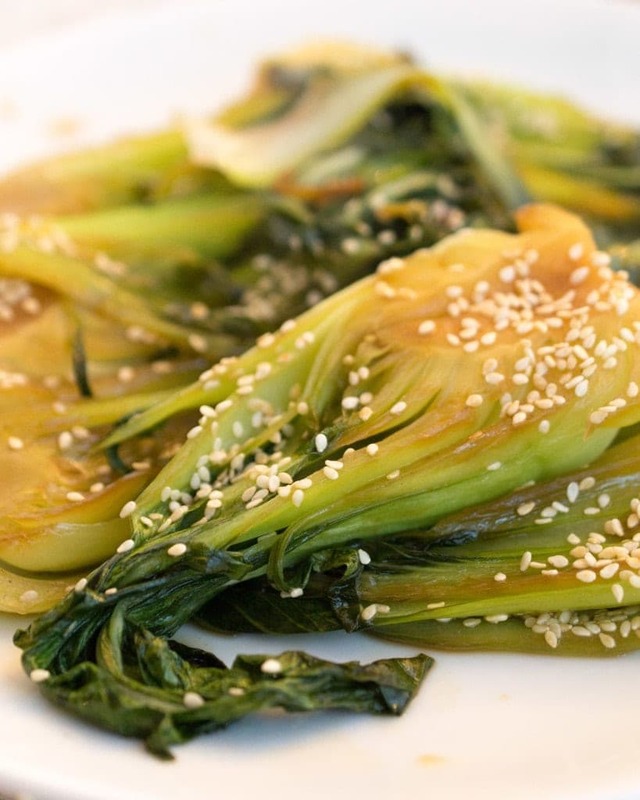 Remove the lid from the skillet and jostle the bok choy a bit with the tongs. Cook until most of the liquid has evaporated and formed a light glaze. Transfer to a serving plate, sprinkle with sesame seeds, and serve.